We have many clubs located in the Central Valley! We are the Valley Associated Square Dancers and we want to help you learn about the fun and friendship of square dancing in the Central Valley. This website is the best place to find information about where dances are happening in the Central Valley and the dance clubs that host them. If you are new to square dancing, our clubs offer beginner dances. If you are looking for a dose of physical activity, square dancing provides a daily dose with all of its moving, twisting, and turning. It helps keep your mind sharp by remembering the calls. 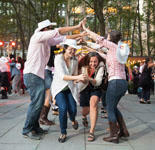 Square dancing is a great way to do something fun, to make new friends, and enhance your brain and body. Questions about square dancing that can be answered here. 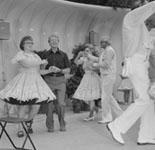 Learn about the history behind square dancing and changes made.